Visit Guringai Yoga Shala for Yoga classes in a range of styles including Hatha, Restorative, Pranayama, Meditation, Ashtanga and Yin. 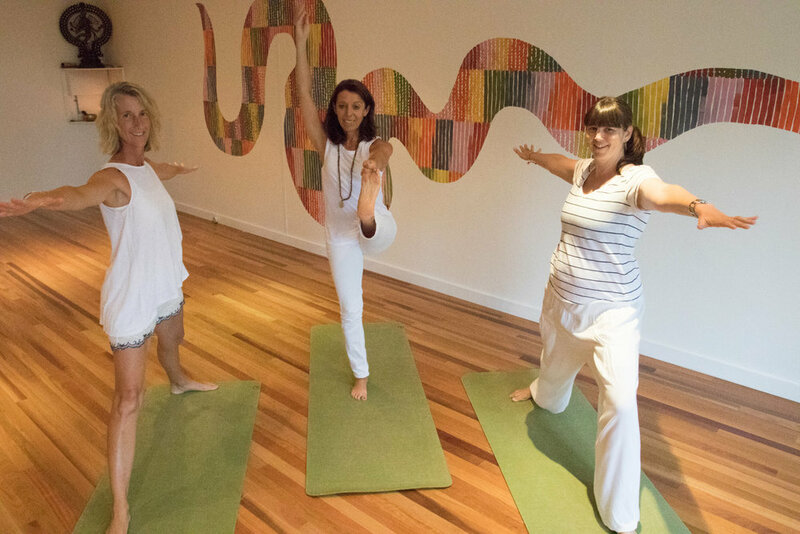 Our boutique Yoga studio is based in Mona Vale on Sydney's Northern Beaches. We offer regular, open classes in Yoga for beginners to experienced. Our focus is on small classes and traditional Yoga. We specialise in Hatha Yoga (from a gentle offering to a more dynamic and fast-paced class), as well as Restorative, Pranayama, Meditation, Ashtanga and Yin Yoga. To reserve your spot in a class, please book online here. Hatha Yoga in the West is a general term to describe a style of Yoga. The truth is Hatha Yogais any form of Yoga involving Asana, Pranayama, Mudras, Bandhas and Meditative practices on top of the Shatkarmas, the cleansing practices. In our Hatha classes, you will find that movement and breath are the focus. The time of day, the presence of the elements, the ability and experience of the students combine to create how the class is taught. Most poses and techniques offer variations to meet the students’ individual needs. 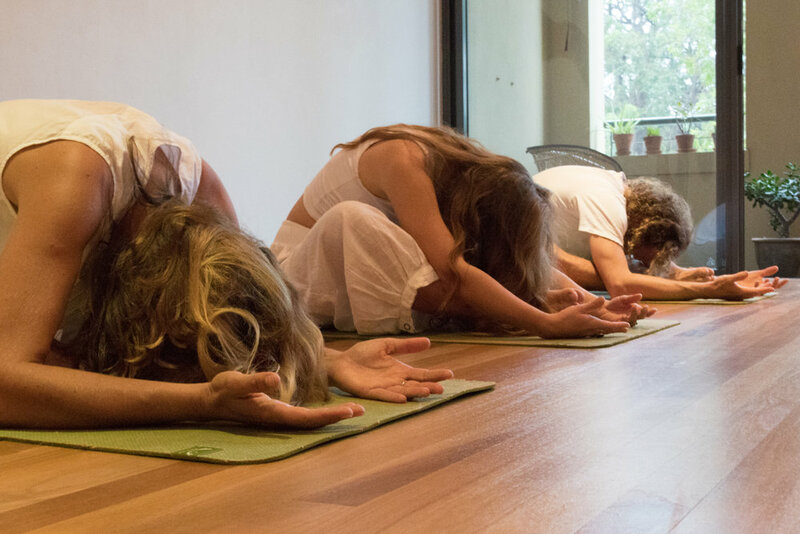 Similar in style to our general Hatha classes, at a Dynamic Hatha class you will find a faster-paced practice in which there is some assumed knowledge of alignment, sun salute flow, contraindications and use of the breath. You may also find that inversions, pranayama, chanting and other elements of Yogic philosophy flavour the class. The pace and style of the class is stronger and more flowing, although provision is always made for each student's requirements and level of experience. Open to students with previous experience. These Hatha classes combine gentle, slow Asana (poses) with Pranayama (breath work) and Yoga Nidra (yogic sleep) to provide the perfect antidote for a busy lifestyle. They're also a great entry-level class for beginners. The gentle nature of the class is designed to help students feel rejuvenated, refreshed, energised and vibrant. The practice works deeply on the nervous system, allowing stress and tension to be released, balance to be restored to the body and calm to the mind. The classes are suitable for level of experience. In this specialised style of yoga you are invited to slow down and nourish your body and your soul. 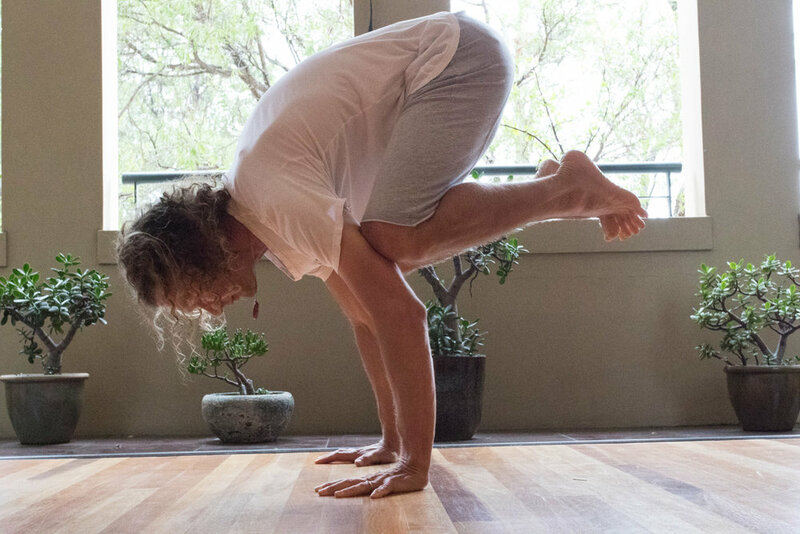 Slow yet deep, passive yet challenging, Yin allows you to connect with your body in a whole new way. This style of Yoga goes way beyond working on the muscles; instead we work on the deeper connective tissues and fascia to access and release long-held injuries, stresses, pains and tension. Suitable for any level of experience, including beginners, and especially useful for athletes in training or recovery mode. Yoga was traditionally taught one-on-one with a master and a student over a lifetime (or many lifetimes!). In the West, we have lost sight of this type of Yoga practice, and now tend to focus more on group classes. Whilst group classes are great, we highly recommend customised either one-on-one, or in small groups - perhaps with a partner or some friends. The great advantage of customised private classes is that they can be tailored to meet your precise needs, and can be amended as their needs vary over time. Great for the absolute beginner, as well as for the very advanced student seeking to gain more knowledge in practices as diverse as: asanas, bandhas, mudras, pranayama, relaxation and meditation and shatkarmas (ancient yogic cleanses). To find out more about customised 1:1 Yoga and how it could help you to reach your goals or to heal injuries please send us an email. Created by Fabio, Freedom Yoga is like a private class, but in a supportive group environment. Begin with a private one-on-one with Fabio to set the direction of the practice, to create a student-teacher relationship and if needed, to design a sequence appropriate for your current needs. Sequences are designed to suit your experience, your health and your goals. Then, come along to Freedom Yoga sessions once or twice per week, to practice your yoga, at your own pace, in a supervised environment. Freedom Yoga enhances the student’s personal Yoga practice, allowing students to go deeper into their own zone, following the practice that is best suited for their body-mind at that time. Fabio is present to guide, assist, adjust and support where needed. Ideal for students who want a self-practice but don't know how, and for experienced Yogis who want to deepen their practice or take the next step. This class has a focus on postures, breath and meditation, and is a great addition to your regular practice, whether you're a beginner or a more experienced Yogi. In this class, you'll spend some time moving the body gently, to open to heart and lungs. This is then followed by Pranayama (breathing) practices, and finishing with Japa (mantra) meditation. This class is open to everyone with an interest in varying their regular practice, or deepening their experience of Yoga through breath and meditation. By the end of this class, you will feel renewed in body, mind and spirit! Using all the aspects of Yoga, Rosie will guide you through a simple and accessible practice, designed to make you feel fabulous. Benefits include more energy, greater focus, an increased ability to cope with stressful situations and - as a result - better relationships. Rosie’s loves teaching newbies and more experienced Yogis, so what are you waiting for? What would it be like to wake up each day full of energy, pain-free and ready to bounce through life? If you’ve been feeling creaky for a while, this may seem like a pipe dream, but with Rosie’s decades of experience you will soon find that stiff joints and sore muscles are a thing of the past. Whether it’s dodgy knees, stiff hips or sore shoulders, Rosie will guide you through appropriate movements to keep the joints and muscles lubricated and healthy for a long and vigorous life.